Ever needed to spice up a stay in a city? Or, ever needed something to fill the gap between sessions when you are missing a player? 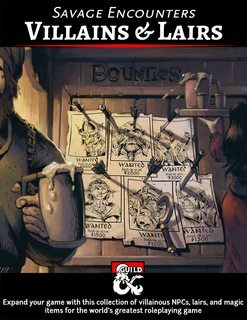 Add a little flavor to the adventurers’ city visits with a rampaging mummy, a circus gone wild, a haunted inn, and much, much, more. 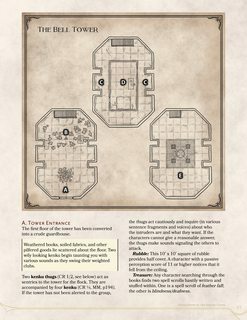 You can even use these encounters in Tomb of Annihilation by adding content to Port Nyanzaru, and by using the Museum Curator background! 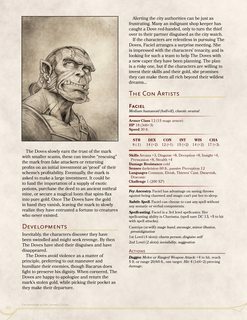 Also included is a separate PDF containing Eberron converstion notes. 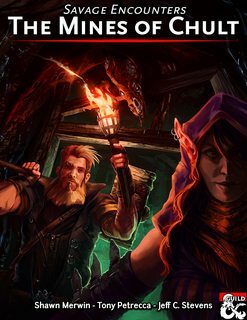 This 80-page supplement contains 26 encounters written by best-selling Dungeon Masters Guild writers and new writers! Available for Fantasy Grounds by clicking here. 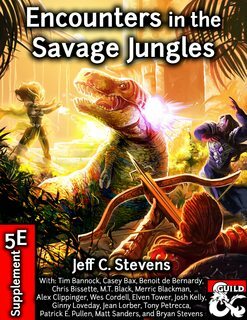 These encounters are location generic and are designed to be easily added to any campaign. 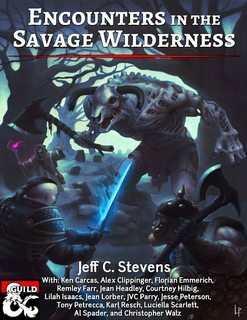 Use them to introduce new players, as inspiration for a new campaign, as a one-shot, or whatever else you can think of. Want to know about new projects when they are released? Sign up to my mailing list! Want even more encounters? 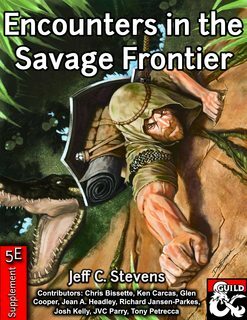 Pick up Encounters in the Savage Jungle and Encounters in the Savage Frontier! Greetings! 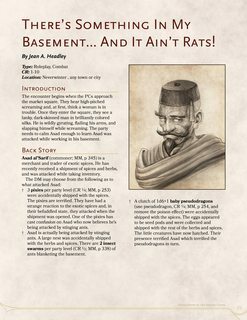 I've uploaded a separate PDF that includes Eberron conversion notes. I've just posted a new update. The Color version now includes bookmarks for easier navigation. All other files and maps remain the same. You posted an update. Is it just the maps, or do you update the supplement? Hey! You don't need to download the update. It's only an internal advertisement that's been updated. Sorry for the confusion. Corey, sorry about that. I'll create a couple of map folders. I've added B&W maps, and I've broken the color .jpg maps into two folders. They are still large files, but hopefully it doesn't fail on you. Thank-you so much, Jeff! I truly appreciate it! Love the collection, by the way! It's gonna work great for my group! Thank-you!